Regular grooming is essential to the maintenance of your pet's health. A well groomed pet is more likely to be hugged, and pets live healthier lives when they are touched frequently and have a healthy coat and skin. Aside from keeping your pet smelling and looking attractive, grooming will help to prevent or impede such conditions as parasites and skin irritations. 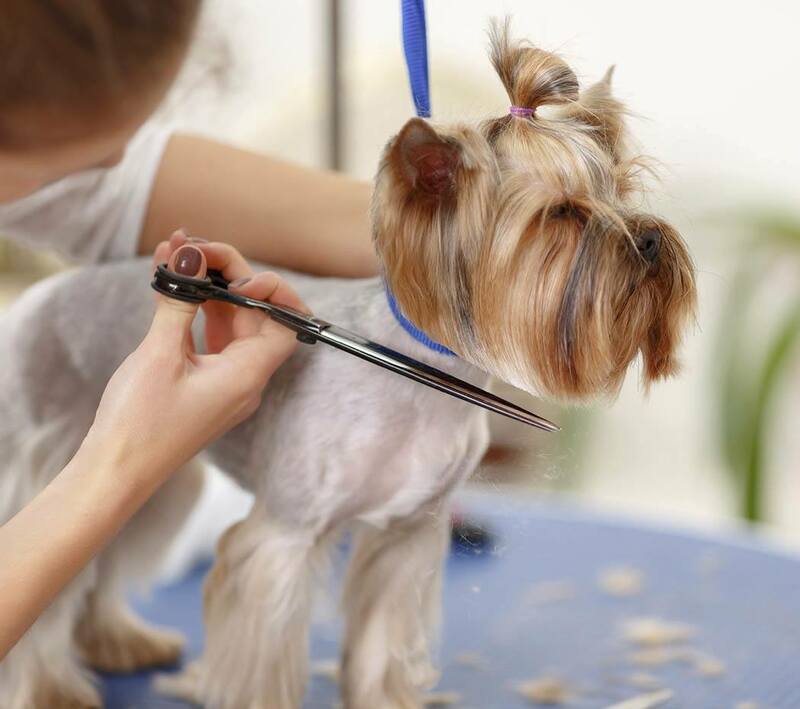 While grooming should be done on a consistent basis, the frequency to which your pet needs to be groomed will depend somewhat on daily routines, coat type, age and general health. It is recommended that long haired dogs be groomed every 6-8 weeks to avoid matting. In addition, your pet will benefit from regular brushing to remove any loose hairs and dead skin cells, to rid the coat of debris and external parasites, and to disseminate skin oils that form along the hair shafts. We can assist in recommending the proper tools to use for your pet's coat type. If your pet suffers from allergies, our veterinarian may prescribe regular bathing as part of the treatment routine. Be sure to notify us of any special needs your pet may require such as specific shampoos or eye care and bring any of these products with you to your appointment. Please schedule your pet's appointment in advance, especially during the warmer summer months and near the holiday seasons.